When you step into a commercial space, what’s the first thing you notice? If it’s the overall atmosphere, the lighting plays a significant role in your perception. Commercial lighting design is essential to the mood of your storefront or workspace, and it could make a big difference in the way your team operates. To learn more about how important lighting fixtures are, both inside and outside of your commercial property, consider the following information. Inside your place of work, your employees will need bright, even lighting to stay alert on long days. In addition to coinciding with the circadian rhythm—our natural sleep-wake cycle that matches the light and dark hours—adequate workplace lighting is essential for preventing eye strain and trip-and-fall accidents. Some people even feel sadder in the winter months due to the shorter, dimmer days, so a brighter workspace could improve their mood and increase morale throughout the office. A happier, more alert team means more productivity, which will eventually strengthen your company’s potential for growth and success. 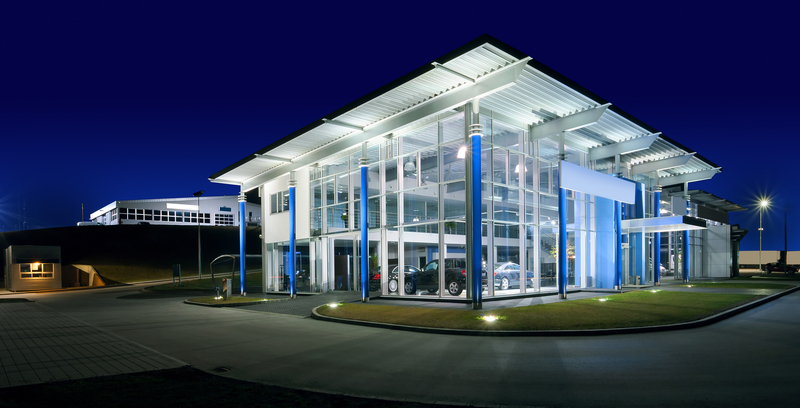 When it comes to the lighting outside your commercial business, the first priority is always security. You want your customers to feel safe when they park their vehicle and walk into your storefront after the sun sets, and your employees should feel the same when they clock out and head to their cars. The best way to ensure their safety is to invest in bright, comprehensive lighting for your property’s exterior. Make sure all parking lots or side-street stalls are brightly lit from overhead so burglars and other criminals will be seen before they take action—or at the very least, get caught on camera. Your commercial lighting design should also showcase your property, directing confused consumers to the storefront. If you’re next to a highway another major road, make sure your business is visible from inside passing cars. You can add drama to your structure with uplighting, which cast beams upwards from the ground to illuminate walls, signs, and even trees. For a more straightforward approach, install floodlighting along overhangs and under eaves to shed light on your business. If you’re interested in exploring commercial lighting options for your business, Kentucky Lighting & Supply of Lexington can present a number of promising design solutions. They can help you choose lighting fixtures that fit the style and functionality of particular spaces, whether you’re lighting a conference area or a waiting room. To learn more about their fixtures, visit the website or call them at (859) 259-0466.